You know the future’s bright when your fave beauty line hints at the release of up-and-coming products. And Glossier founder Emily Weiss teasing an eyeshadow, sunscreen, and fragrance proves that sunshine is definitely on the horizon. The beauty guru stopped by podcast Fat Mascara to share the deets, and we can NOT handle it. The sleek brand has been leading the charge in simple skin care. So you know we were more than excited to hear that they’re rolling out some new inventions. And after obsessing over her beauty blog Into The Gloss, we know that Weiss’ new products are going to become staples. 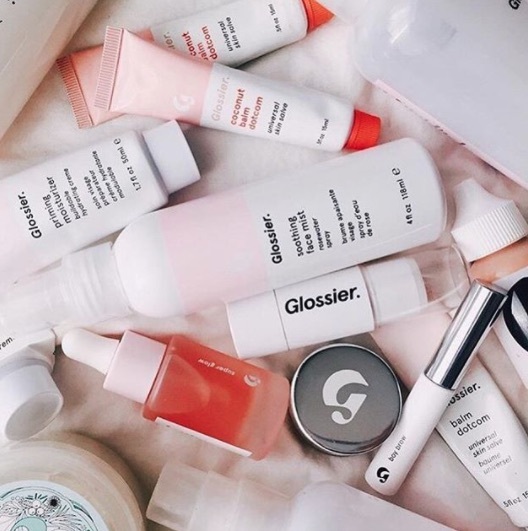 Glossier adding an eyeshadow and sunscreen to their list of products makes sense. But, a fragrance would be shaking things up a bit! "I’m a big Le Labo and Byredo fan. I go through phases. We’re also working on a perfume and I can say no more than that. But it’s f***ing amazing." But if rattling off her favorite scents is any inclination, we know it’ll be extra sultry. As for next steps… Just make sure you have your credit cards on hand for their release. We can bet that they’re going to go fast.